PONT began when a group of volunteers from Pontypridd saw the opportunity to really impact the lives of poor people in Africa by building direct personal relationships between two communities. We were established in 2005 with a link between the towns of Pontypridd and Mbale. Soon afterwards the whole of Rhondda Cynon Taf County Borough was twinned with Mbale District. We’ve grown within those areas of Wales and Uganda to touch so many areas of life – health, education, livelihood, environment. From our early beginnings to today, we have given the people of RCT the chance to be partners with people in one of the poorest areas in Africa, helping provide the resources they need to take care of their families and communities. The ideas behind PONT started in the 1980s when volunteers from Pontypridd who worked in camps in Ethiopia and Sudan saw how the amount of aid raised in the town was higher than the norm because people were able to hear first hand accounts of the work undertaken, and they became more informed and involved as donors. 15 years later, a group met to think through ideas for a longer term town partnership. We wanted to harness this grassroots interest to help deliver the Millennium Development Goals on poverty, health and education. The question was how – and where – could we make a specific difference to the lives of people in poverty? 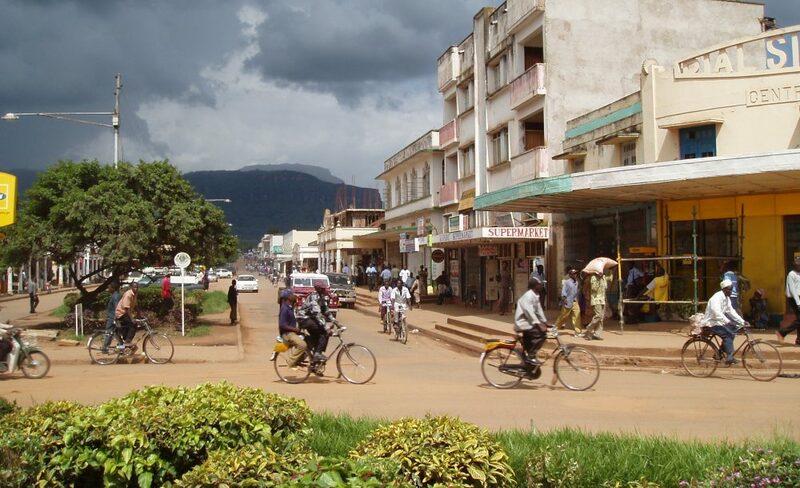 After considering and visiting five other African countries we made our first visit to Mbale In 2002. From the very outset we knew we had found the right place for our town twinning idea. We had a very gracious welcome from the political leaders, the church leaders and the indigenous NGOs (Non-Governmental Organisations). They were all enthusiastic about working with us, and that meant they were willing to work with each other. 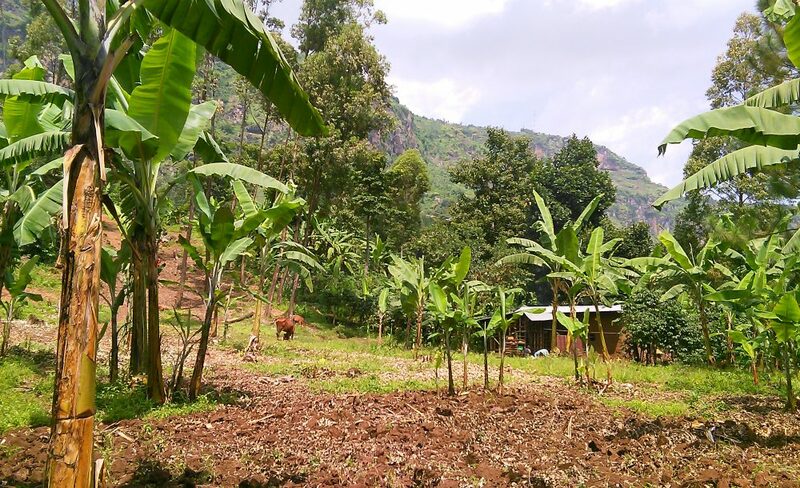 The people of Mbale district were amongst some of the poorest in Africa, with average income less than $1 per day, average life expectancy of 46, and infant mortality rates of about 200 per thousand. 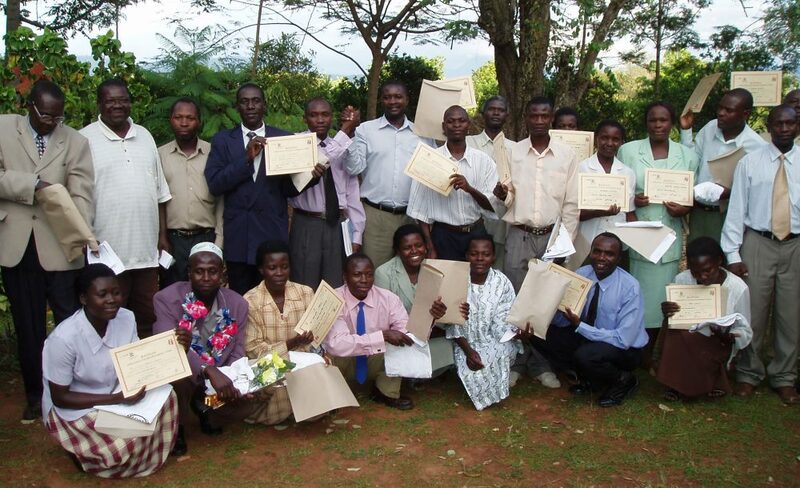 Our first step was to identify the key local Ugandan NGOs already doing good work amongst the poorest communities. We visited projects and asked how we could best support them. We were careful not to impose our own agenda, but to identify our partners’ priorities. 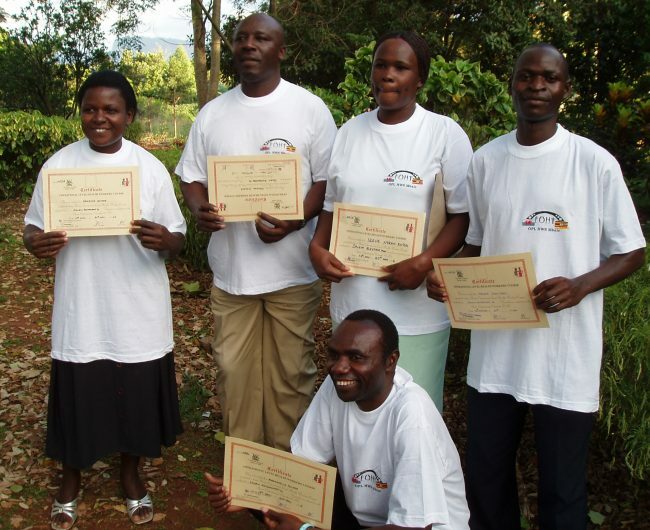 Our aim was simply to help them help their communities more effectively. multiply the number of people they could reach – through donating. Together we set up a network between existing NGO’s and integrated this network with local government. Over our first three visits, the Mbale Coalition Against Poverty was born. 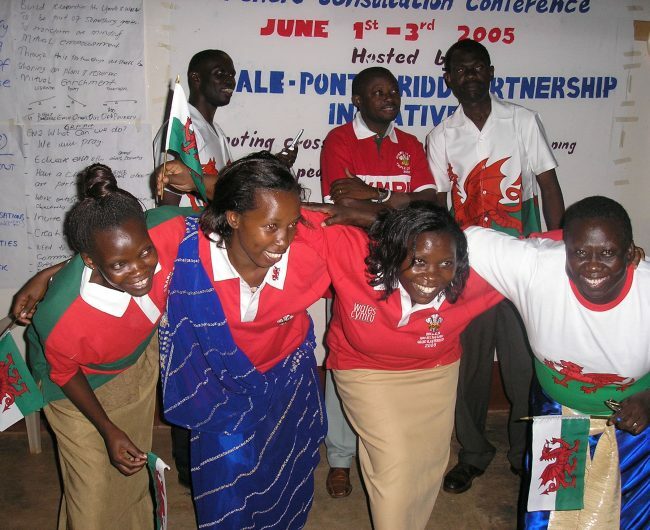 On the fourth visit in May 2005, PONT was launched publicly by holding official twinning ceremonies with local and regional politicians in Mbale and Pontypridd. “Pont” is the welsh word for “bridge” and was originally the acronym for “Pontypridd Overseas Networking Trust”. This was soon changed to “PartnershipsOverseas Networking Trust” to include all of the county borough of Rhondda Cynon Taf. With a framework in place the original projects started in 2005, each supported from Wales by a committee of volunteers with expertise. Our visiting doctors saw that healthcare in rural villages was seriously limited, but that local partners could train volunteers to educate their neighbours and provide the first line of care. The health committee also applied for a grant and funded the purchase and distribution of almost 2000 mosquito nets to the most needy households. We saw there were many orphans being cared for by relatives or neighbours who barely had enough money to feed and educate their own children, so we set up an income generating programme based on breeding goats. 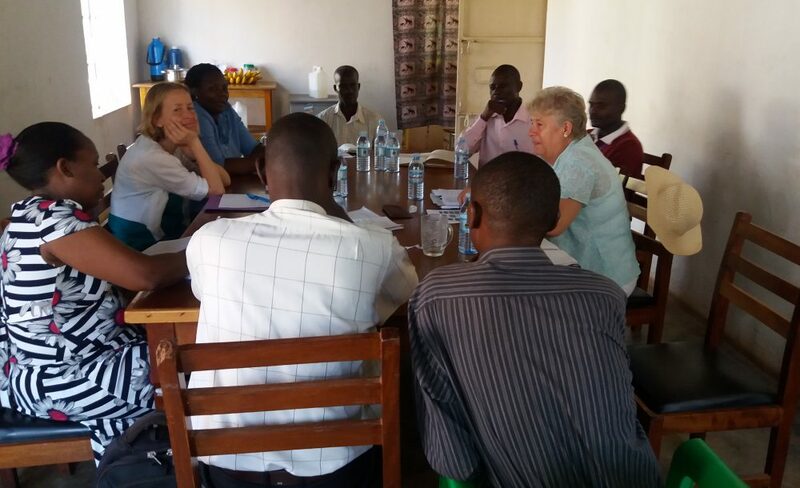 Our church leaders met people in Ugandan churches who were bringing hope and practical help to people in poverty and set up links between individual churches in Wales and Uganda to share friendship and encouragement in this work. From 2005-2009 we added engineering, environment, university and hospital link committees that were responsible for developing projects within their own sphere of expertise. 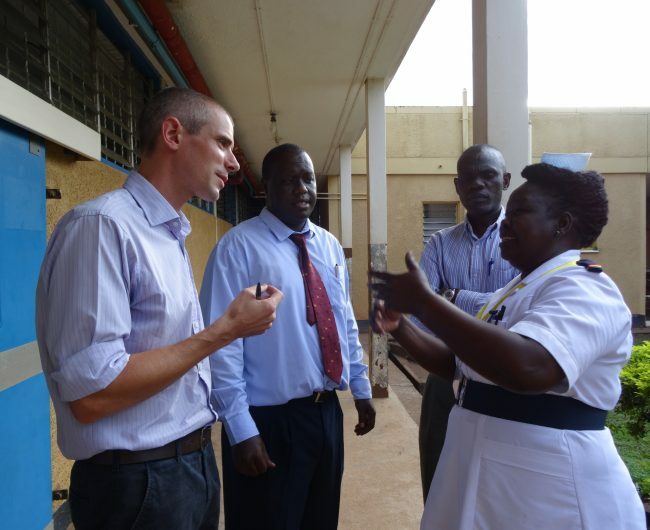 The Hospital link opened the first Ugandan endoscopy unit outside the capital in 2009. 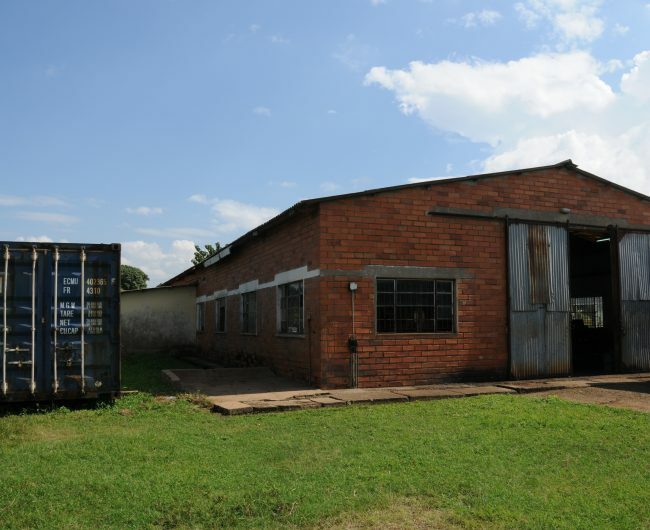 The engineering group saw a disused building become a workshop that provides training, employment and expertise to the community in 2008 when Tata Steel donated equipment and the cost of sending a container to Mbale. Meanwhile by the end of the decade the 12 school partnerships had grown to 50, 500 Community Health Workers had been trained and over 1000 goats given to families caring for orphans as the partnerships gained momentum. Welsh Ambulance Service Trust staff travelled to Uganda in 2010 to train our Community Health Workers as first emergency responders. 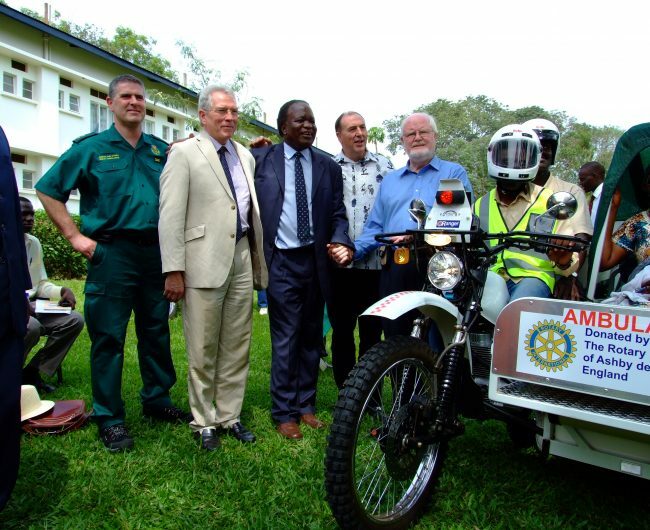 We gave Mbale region their first three Motorbike Ambulances and with the scheme a resounding success, expanded to a fleet of 34 in 2014 thanks to a most generous donation from Rotary. We added 30 bicycle stretchers and 90 hand-wheeled stretchers for areas too remote even for motorbikes. Within four years, the ambulances had transported almost 10,000 patients, two thirds of which were maternity related. The Hospital link moved on to support A&E and maternity wards and since 2013 has focussed on training, facilities and equipment in the anaesthetic department that have supported life-saving operations. Meanwhile our partners have now trained nearly 1,400 health workers, including over 700 Community Health Promoters and over 600 Traditional Birth Referral Attendants. We’re seeing them go from strength to strength in their communities, with some learning to train newer volunteers and others even moving into local leadership. In August 2017 we opened our Animal Education Centre on the beautiful slopes of Wanale Ridge near Mbale town. The Centre will give hundreds of children across Mbale region the chance to learn about wildlife and conservation, especially important as many of them will grow up to become farmers. The centre has developed teaching packs and schools with PONT links to Wales are arranging visits. Partnering with Uganda Wildlife Conservation Education Centre we plan to introduce larger animals and over the coming years a conference centre and tourist huts will generate much-needed income to feed back into other PONT projects, helping to set up a sustainable future for life-saving work. Our links with local decision-makers remain strong. 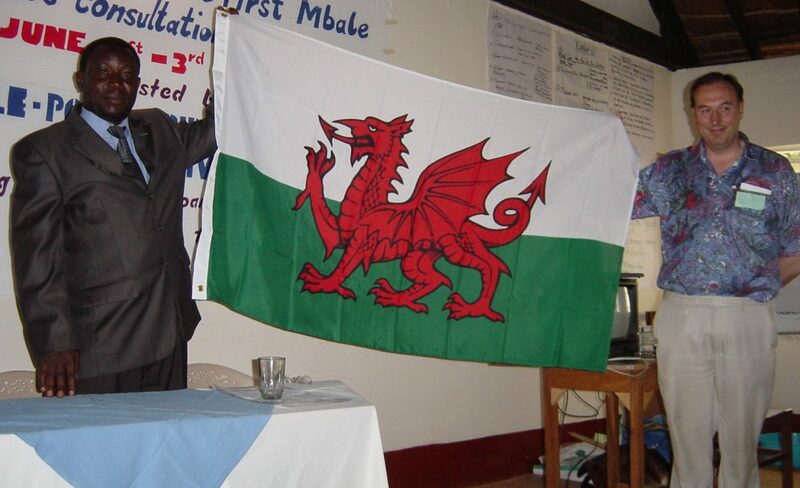 Our Welsh Assembly member, Jayne Davidson was the first politician to vist Mbale in 2008. The tribal king of the region – the ‘Umukuuka’ – visited Wales in 2013 and the First Minister of Wales, Carwyn Jones, visited Uganda in 2014. 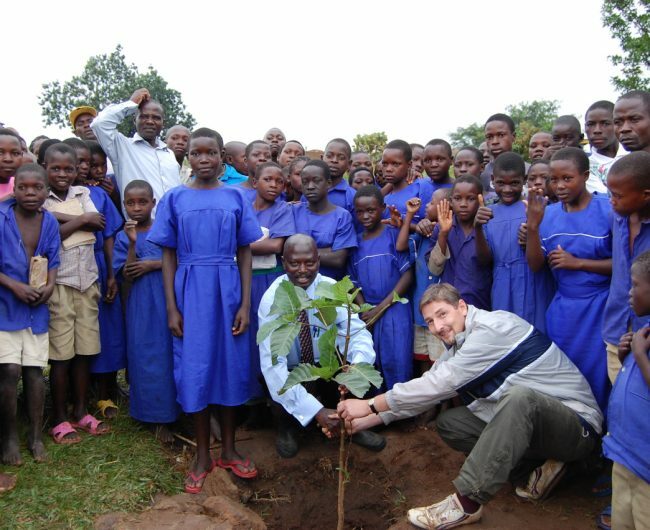 Connections through PONT have led to the Welsh Government setting up the 10 million trees programme and the ILO (International Learning Opportunities) scheme. At our heart are the extra-ordinary ordinary local people who give their time and their donations to PONT. 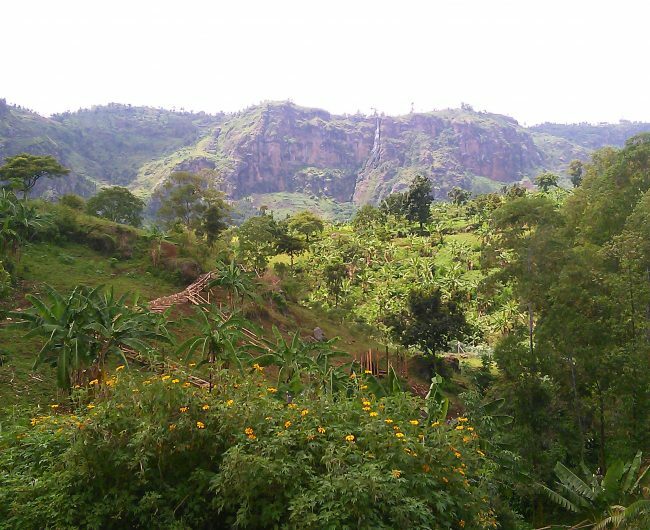 Over 1000 visits have been made to Mbale – so there are now people in all walks of life in South Wales with a passion for this corner of Uganda. We’re sharing our model of development with others in Wales and the world so that more people can be helped. 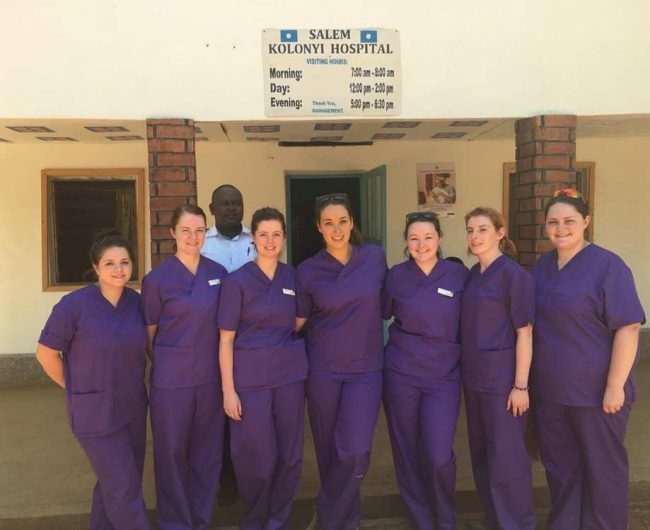 Our University link saw new partnerships formed with the first trips by disaster relief students in 2016 and Nursing students in 2017. In April 2018 a determined and ambitious group of teenagers met for the first time to set up a PONT YP Young Person’s group that will fundraise and spread the word about PONT. 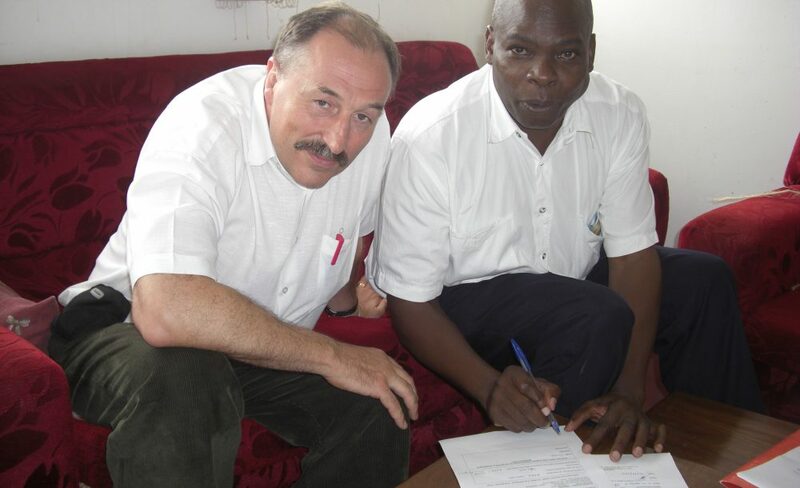 We’re proud of our history but looking to an even more hopeful future for RCT and Mbale. What we’re doing works. We’ll adapt to change and new opportunities but we’ll keep on doing what works, and we want to reach more people in more communities in Mbale region. We’re looking to the people of South Wales to get on board and help us make it happen – the original vision of people helping people is still what we believe in and we’re not giving up!